Minimize false alarms by tracing only sensitive areas of the location you are monitoring and ignore high traffic areas like sidewalks and streets. 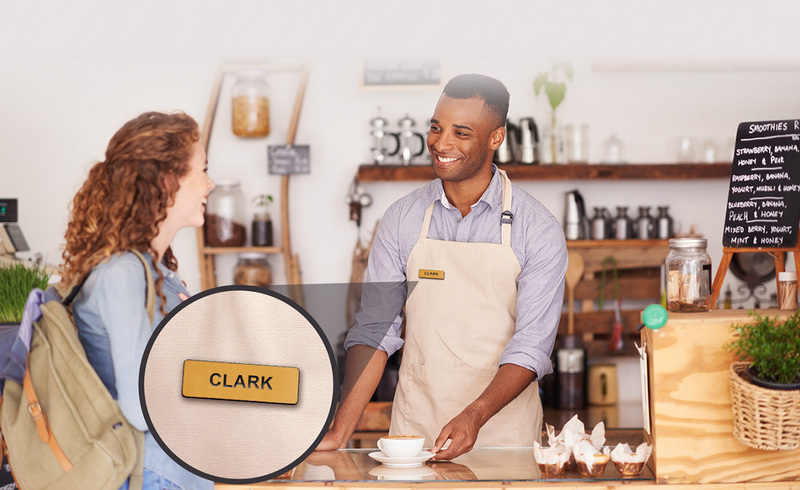 Motion detection recording and notification will only be activated by movement in this area. Manually set a line between two points in the video frame and configure detection settings to begin recording and send notifications when encroached. Intelligent analytics allows users to choose which direction the line is crossed to activate detection settings. 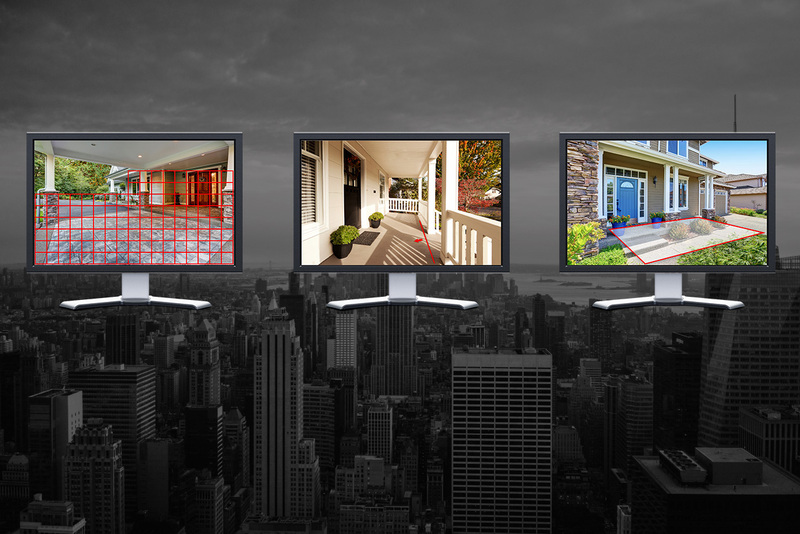 EZVIZ 4K NVR takes standard motion detection a step further by allowing the user to set zones based off of a manually set quadrilateral point system and time threshold, further minimizing false alarms by increasing accuracy of actual intrusions. *Motion Detection and Video Analytics Settings are configured directly from the NVR with monitor attached. LEDs are separated from the lens and removes darkened corners around picture for better visibility and coverage. Surrounding the lens which causes dark corners. such as wind, rain, and snow in temperatures ranging from -40°F to 140°F (-40°C to 60°C). family so they can view your video, too. 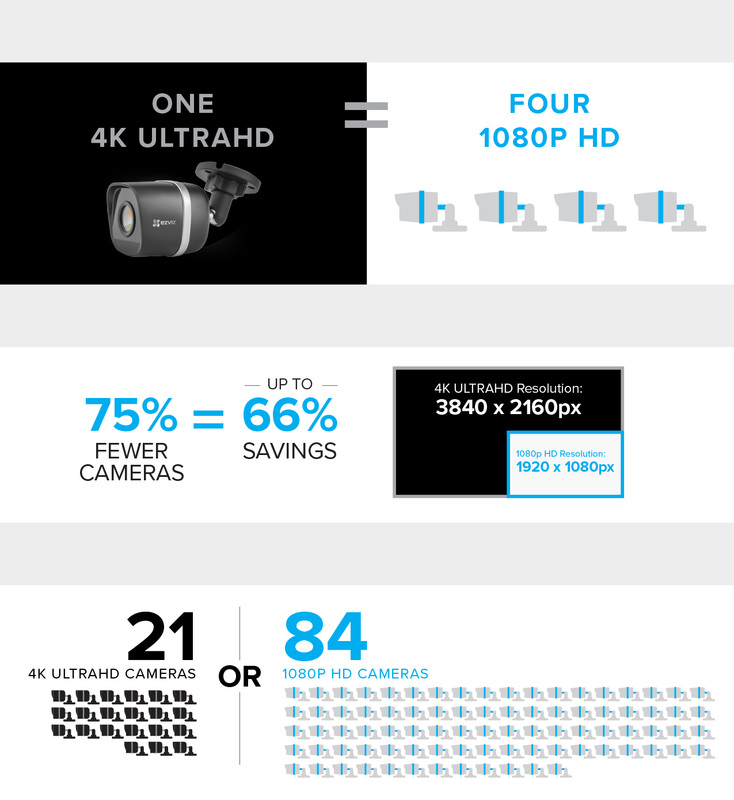 UltraHD 4K IP Kit is rated 3.5 out of 5 by 4. Rated 3 out of 5 by Davud from Playback and download tools need work The cameras are ok, but not as good as they claim to be in images shown. You can not zoom to read things far away as depicted the the sales propaganda. Also, the playback tools are terrible, sure. they will show live video but the slider is.total garbage. You are tied.to their services if you want any kind of remote viewing and the playback tools there are not much better. Too bad I had high hopes for the this camera package but like most products they skimp on the most important parts and ruin the product. Rated 4 out of 5 by Matthiser from Superb quality all around/mobile app needs work PROS: The cameras themselves are very stout with a metal casing, they seem very well built. The whole system was plug and play, as simple as it gets! I read nightmares about other systems that left the consumer scratching their head and calling tech support 100 times. VERY impressed with image quality of both daytime and nightime, looks amazing on my 75" 4k TV! The NVR is very easy to navigate but some (broad) explanations/suggestions for VCA settings would be convenient. The senesitivity adjustment is in increments of 20 (from 0-100) and even on 20 it still sends notifications of a leaf blowing or tree branch shaking in the wind and at 0 it detects nothing, needs more options in between. CONS The mobile application is frustrating. It has to have something to do with the Android software, because my roomate's iphone application works flawlessly. On my Galaxy S8, it will send a (motion detection/line crossing/intrusion alert) notification but wont allow me to playback the video, instead i have to rewind recordings myself, which is quite difficult on a 5" phone screen and fat fingers. It also wont display the live feed of all 4 cameras when they're displayed in a grid, and will only show live feed whenever you open one individually. It would be nice to be able to adjust sensitivity settings and other options of the NVR via the application in order to try and avoid having 100+ notifications by lunch. In order for the system to sense that you're "home", you have to download another app, IFTTT, which isnt collaborating with my EZVIZ app. The IFTTT app simply says theres an error with the EZVIZ applet, so when I'm home it contiuously sends me notifications when my dogs are outside, kids are playing, etc. EZVIZ needs to incorporate this feature into their own app to eliminate the pain of having to install and setup a third party application and account information. The mobile access and notification system is one of the main focuses for the purchase of this product and its very inconvenient when you cant find any answers after paying top dollar for a quality system. All in all the cameras are second to none! but the application needs to be more user friendly, specifically for Android users. Rated 3 out of 5 by Retired from More Hype than substance I bought this system in spite of the bad reviews because it seemed like a good system for the price. I wanted a system that could stand up to the desert heat and windstorms. We will see how the system holds up. This is an initial review after installation. Pro's: This system is very easy to install, with POE you only have to worry about running one cable. Since the cable is cat 5e it is also easy to modify the cable to just the length you need. This eliminates all the extra cable behind your system, or in some cases need to get an extension because the cable you have is 2in too short. (Picture) The IR night vision is pretty good quality. Points to the camera. (Intrusion Detection) Can be a bit oversensitive, especially at night. It is way better than you doorbell cam detecting a visitor as they are leaving. Fluff: (Picture) At first glance, the picture quality is outstanding, even when the fps and resolution are not maxed out. Unfortunately, that is where it stops. (Intrusion Detection) You are supposed to be able to create areas in the system to minimize false alarms. This is done with the standard motion detection grid, the Line cross detection, and the "new" quadrilateral point system. The only place you can use the quadrilateral point system is in video playback, which in my mind is too little too late and does nothing to help with minimizing false alarms. 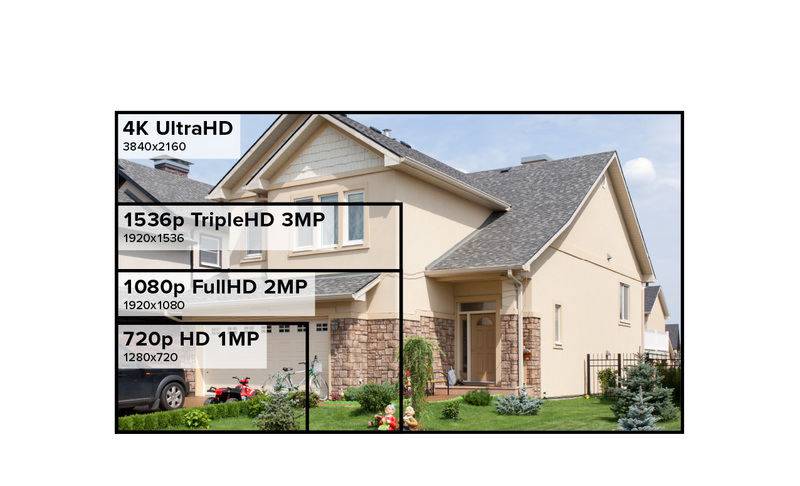 Con's: (Picture) The so-called "4K Zoom with clarity" comes down to nothing but false advertising. Depending on which add your looking at the zoom either shows the close-up of a name tag or a man playing a sax. Both are a reasonable distance away. Maxing out the resolution, fps, and any other setting I zoomed in to my next door neighbors license plate and couldn't even make out one letter or number; and that was not even 20 yards away. (Processor) One would think that if you are buying a 4K camera system, the system should be able to handle all the camera's at once on max settings. Yup, not the case here. You can watch live video of all the camera's, with the settings maxed out. Just not recorded video, which is the whole point of a video surveillance system with a hard drive. I only have two cameras installed right now and when I try to watch recorded video of both cameras one will say insufficient resources and just be a black screen. I had to lower the fps and kbps to be able to watch both cameras at the same time. (Intrusion Detection) With only two "active" Motion detection and video analytics, you are left with playing with the system to find some way to make it work. The line cross is ok, but you can only have one line per camera. This is ok if the camera is placed in an area that only has one cross point. Most cameras are placed on corners of the house to maximize the field of view. Making the line cross next to worthless. Can't even have more than one active rule for the line. The rule number has a dropdown which would suggest the ability to add or make more rules. NOPE. Summary: (Other than a direct interface) The app is a nice touch but again with the video playback you might not be able to watch the recorded video if your settings are too high for your mobile device. To log into the ezivz website you have to use internet explorer. All though it is disappointing to not be able to tie the direct feed into your computer, the Ezivz Studio software for windows does make up for it. The live feed from the cameras show where the cross lines are placed and shows where the camera senses motion. Which is a nice touch. Overall I was expecting more or at least half of the advertised features to be there. The cameras themselves are great. The rest of the system needs a lot of work. The 4k monitor I got for this system shows up tomorrow, so will see if there is and plus to the 4K viewing. Also, want to see if the cameras will hold up to the desert weather. I will give this system two weeks before I decide to return it or keep it. Really glad I got the extended warranty. Rated 4 out of 5 by Tuktanuk from Good Product I was in the market for Security Cameras. I tried the Wireless battery powered ones. They got sent back. Low resolution and too many false alarms for those. This 4K kit was of course more difficult to install over a battery unit but, there is simply no comparison. Pros: Video is clear and crisp Cameras are sturdy and easily adjusted The 4 100Ft. rolls of Cat5 are nice and the cable is shielded. DVR works well and can be configured well. Night time video is of a very high quality Cons: Does seem to drop some frames from time to time At night; headlights will trigger motion detection as well as line crossing Some settings on the DVR need to be hunted for - not a big concern but, it could be just a bit simpler. The Android App - Works well but, lacks proper controls for playback. When an alarm is triggered; the playback is grayed out. Overall; It's a great system for a fair price. I got lucky and purchased at a deep discount. 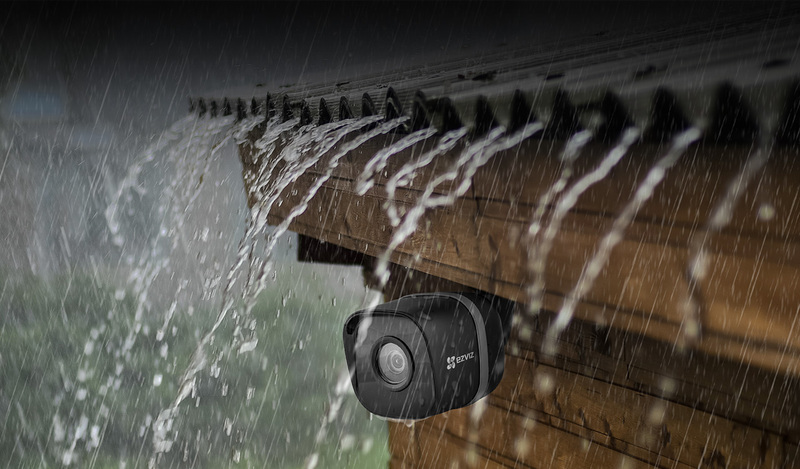 If you're in the market for a home security Camera system; this one should be on your short list. Do all of the cameras have to be wired directly back to the NVR or can they run through another network switch. My network is spread through a few buildings and am wondering if I can install the cameras in each of the buildings. Does the 4K IP Wired kit have listen in audio feature? Depending on the way you have this device installed, you might be able to read a license plate from that distance, the max. resolution is set to 3840 X 2160 10-20fps. This device does not support two way audio feature. Can this NVR work with your WiFi cameras as well? 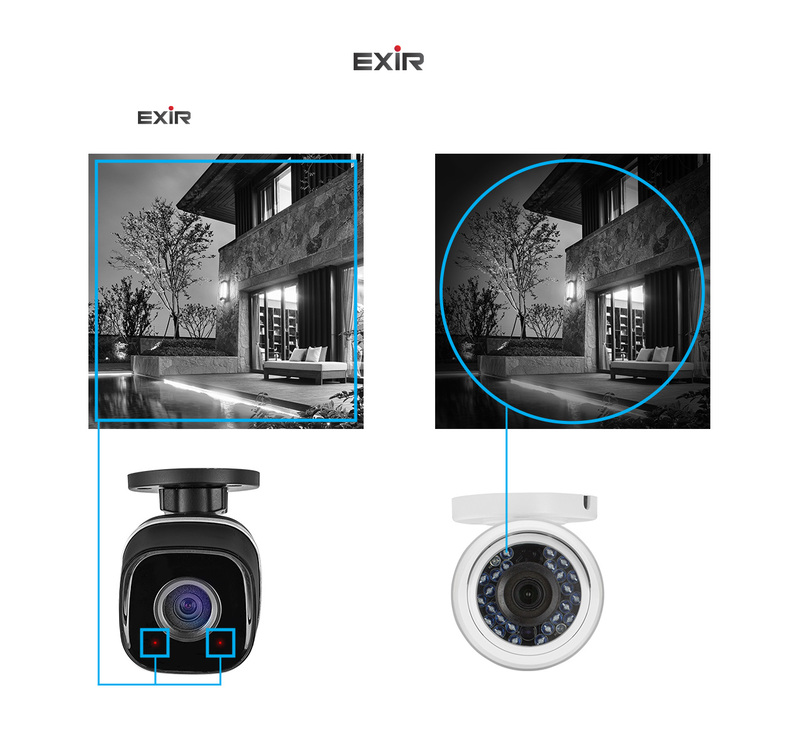 EZVIZ wired kits only connect to the network using an Ethernet cable, however EZVIZ does sell WiFi NVR kits as well, please visit the product page to learn more. Do any of the NVRs work with Amazon's Echo Show or is it just individual cameras?